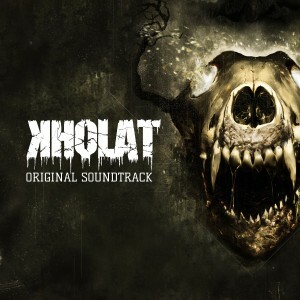 A relatively new face in the game music scene, Arkadiusz Reikowski recently composed a score to the horror game Kholat. The game is based on the Dyatlov Pass Incident, in which nine hikers inexplicably died on a mountain hiking trip through the Ural Mountains in the late 1950s. “Kholat” is the name of the mountain on which the hikers had set up camp the night they died. Because the mystery of their deaths remain unsolved, several theories have sprouted up about how these hikers may have lost their lives. Kholat is based on one of these theories. 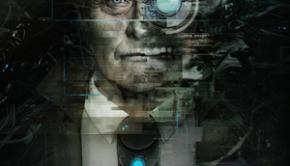 Reikowski, for his score, combined the use of the Airis String Quartet with the voices of singers Penelopa Willman-Szynalik and Mary Elizabeth McGlynn to create a selection of sounds for the game that evoke its haunting and mysterious source material. The album opens with the appropriately titled “The Beginning,” a piano-and-humming track with a melancholy melody. The tone of the track is interesting – it doesn’t sound like the opening of a horror story so much as the opening to a tragedy, which is, in most ways, the nature of Kholat’s premise. This is also the first of several times we hear the wordless voice of Penelopa Willman-Szynalik, which in itself becomes something of a theme throughout the score. Reikowski uses her voice as an instrument to pair with a string quartet, piano, and a series of synth sounds that create the atmosphere of the score. “Descent” uses a whispering pulse to move it alongside a distorted low string melody. “Awakening” uses bass drumbeats to create a more ostensible semblance of movement in the track, in addition to a male vocal synth track. Much later on in the score, “Notes” opens with some low, twisted strings, reminiscent of the melody in “Descent,” before they fade away into obscurity. Other tracks like “Echoes” forgo the melody entirely, stringing along a series of windchime-like notes being gently struck. Other tracks feature exquisite stringwork alongside piano. Reikowski brought in the Airis Quartet to deliver a beautiful set of stringed instruments to the soundtrack. I have to say, aside from one of the closing tracks, these pieces were easily my favorite on the album. Many of the other tracks were dull to listen to outside the game, but tracks like “Movement” made up for it. The strings were mixed beautifully, so the roughness of the bow being drawn across the string came through for each note, which gave the string sound a level of authenticity that many string scores lack. The violin’s arpeggios came through brightly, growing in richness as the piece continued. “Main Theme” brings back the theme from “The Beginning,” again with a humming voice. This time, the iteration of the theme is more lyrical than instrumental, despite no lyrics in the track. I am frequently drawn to the harmonies in a track more than the melodies – a rich countermelody or harmonic line can often make or break a piece for me. “Main Theme” places the melody in the softer piano line, and the louder strings play a more ornamented counterpart in the track that I found completely enchanting. Some of the tracks feature a combination of ambiance and the beautiful instrument parts; “The Mist” opens strongly, with a steadily pounding drumbeat and a return from the low string that plays an anonymous series of notes across the piece. The beat changes before the piece ends into a dotted rhythm that quickly fades away. “Burned Forest” has a slow start – a few hard metallic strikes and a tremolo-ing note wait quietly in the background as Szynalik’s breathy humming returns. “Kodato” brings Penelopa Willman-Szynalik singing in harmony with herself in a not-quite-a capella style, backed only by echoes and some toneless sounds – although the vocal harmonies feel quite haunting and otherworldly. It isn’t until one of the culminating tracks of the album that we hear a lyrical track that proves to be the source of the beautiful melody haunting the score. “Farewell,” sung by Mary Elizabeth McGlynn, is a steady but powerful closing song with a minimal set of sorrowful lyrics. The accompanying piano and violin are very slow, rhythmically stable throughout the entire song. As the piece continues, various harmonic layers become more subdivided to create an illusion of speeding up, although the tempo remains unchanged. The power behind the song comes straight out of McGlynn’s voice, which increases in volume and intensity, but only gradually. Two-thirds of the way through “Farewell,” the song has become a forte track with several layers of accompanying instruments, and McGlynn belting out the now-familiar slow lyrics, but it quickly cuts off as the piece drops back to a piano volume with the voice-and-piano combo from which it started. The album is a bit of a salt-and-pepper mix, with some of the tracks so haunting and rich that they make the sparser tracks that much more difficult to listen or return to. Both McGlynn and Willman-Szynalik are superstars in their role, as is the Airis String Quartet. Reikowsky also demonstrates his considerable compositional abilities – enough, at least, to make me want much more of his instrumental work. 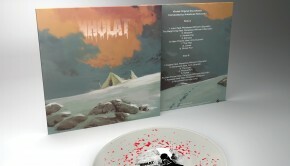 Kholat is available for download on Bandcamp and can also be downloaded along with purchase of the game on Steam. Posted on January 22, 2016 by Emily McMillan. Last modified on January 22, 2016.